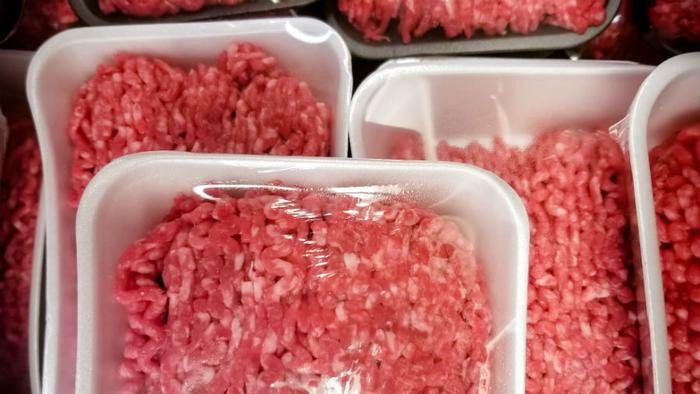 The United States Department of Agriculture (USDA) released a report last week recalling Cargill Meat Solutions ground beef -- over 132,000 pounds of it. The Colorado-based company was under investigation this past August for suspected E. coli, and following dozens of reported illnesses and one reported death, the meat is being pulled from the shelves once again. Consumers should steer clear of any Cargill ground beef packaged on June 21 and that have the label “EST. 86R” on the USDA inspection mark. The USDA wants all consumers to be warned of what might be in their freezers and to immediately discard the contaminated meat -- or return it to the place of purchase. In the most recent report from the USDA, the agency provided a list of stores that were carrying the affected products, in an effort to inform consumers of what to avoid. Safeway, Meijer, and Sam’s Club stores across the country were all carrying the Cargill ground beef, while Target stores in California, Iowa, and Florida were also on the list. However, the USDA also wants consumers to be wary because the list may include stores that never had the contaminated meat, but may also be missing stores that are carrying it. The investigation is currently classified as a Class I by the Food Safety and Inspection Service (FSIS), indicating that illness is very likely should the product be consumed. At the end of last month, the USDA was investigating another Cargill recall. At the time, 25,288 pounds of ground beef -- produced on August 16 -- were recalled for being contaminated with E. coli. However, there were no confirmed reports of adverse reactions to consuming the product at the time of the announcement. That recalled ground beef was shipped to warehouses in California and Colorado.